E. Tory Higgins is Professor of Psychology at Columbia University and Professor of Management at the Columbia Business School. He also directs the Motivation Science Center. Professor Higgins conducts research on social cognition, self and affect, motivation and cognition, culture and personality and social development. He has received several recognitions for this work, including the Lifetime Contribution Award from the International Society for Self & Identity (2006), a Fellow of the American Academy of Arts & Sciences (2006), the Society for Experimental Social Psychology Distinguished Scientist Award (2005), the American Psychological Association Award for Distinguished Scientific Contributions (2000), the American Psychological Society William James Fellow Award for Distinguished Achievements in Psychological Science (2000), the Thomas M. Ostrom Award for Social Cognition (1999), the Society for Personality and Social Psychology Donald T. Campbell Award (1996), and a MERIT Award from the National Institute of Mental Health (1989). In 2004, he received Columbia University's Presidential Award For Outstanding Teaching. Higgins, E. T. (2011). 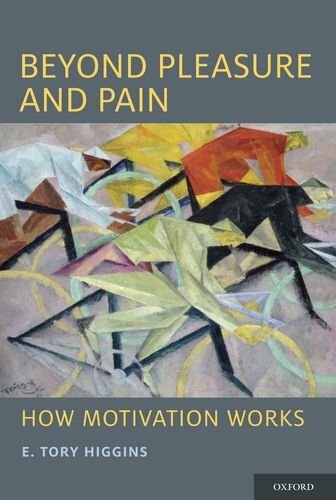 Beyond pleasure and pain: How motivation works. New York: Oxford University Press. Higgins, E. T., & Kruglanski, A. W. (Eds.). (1996). 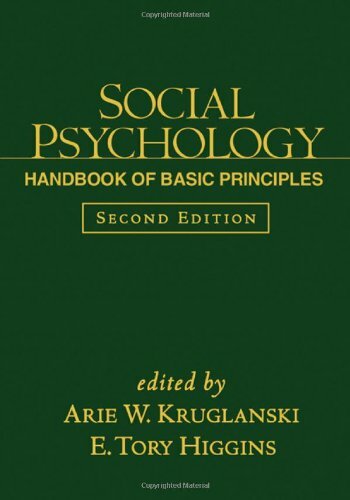 Social psychology: Handbook of basic principles. New York: Guilford Press. Higgins, E. T., & Kruglanski, A. W. (Eds.). (2000). 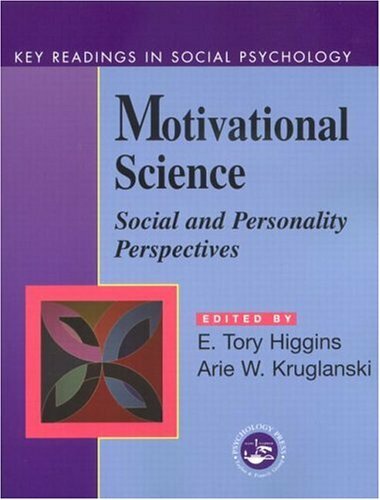 Motivational science: Social and personality perspectives. Philadelphia, PA: Psychology Press. Kruglanski, A. W., & Higgins, E .T. (Eds.). (2003). 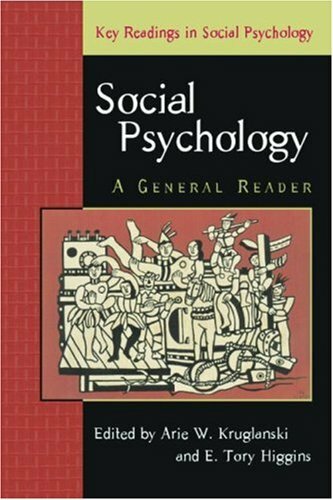 Social psychology: A general reader. Philadelphia, PA: Psychology Press. Sorrentino, R. M., & Higgins, E. T. (Eds.). (1996). 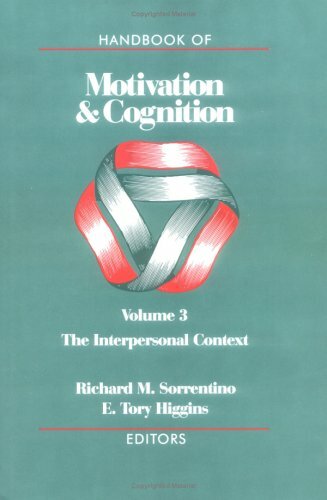 Handbook of motivation and cognition: The interpersonal context. New York: Guilford. Echterhoff, G., Higgins, E. T., & Groll, S. (2005). Audience-tuning effects on memory: The role of shared reality. Journal of Personality and Social Psychology, 89, 257-276. Forster, J., & Higgins, E. T. (2005). How global versus local perception fits regulatory focus. Psychological Science, 16, 631-636. Forster, J., Liberman, N., & Higgins, E. T. (2005). Accessibility from active and fulfilled goals. Journal of Experimental Social Psychology, 41, 220-239. Freitas, A. L., Azizian, A., Travers, S., & Berry, S. A. (2005). The evaluative connotation of processing fluency: Inherenty positive or moderated by motivational context? Journal of Experimental Social Psychology, 41, 636-644. Higgins, E. T. (2005). Value from regulatory fit. Current Directions in Psychological Science, 14 209-213. Higgins, E. T. (2000). Making a good decision: Value from fit. American Psychologist, 55, 1217-1230. Higgins, E. T. (2000). Social cognition: Learning about what matters in the social world. European Journal of Social Psychology, 30, 3-39. Higgins, E. T., Idson, C. L., Freitas, A. L., Spiegel, S., & Molden, D. C. (2003). Transfer of value from fit. Journal of Personality and Social Psychology, 84(6), 1140-1153.